Our beautiful Mother and Daughter Makeover treats and experiences are back for another year in 2017. 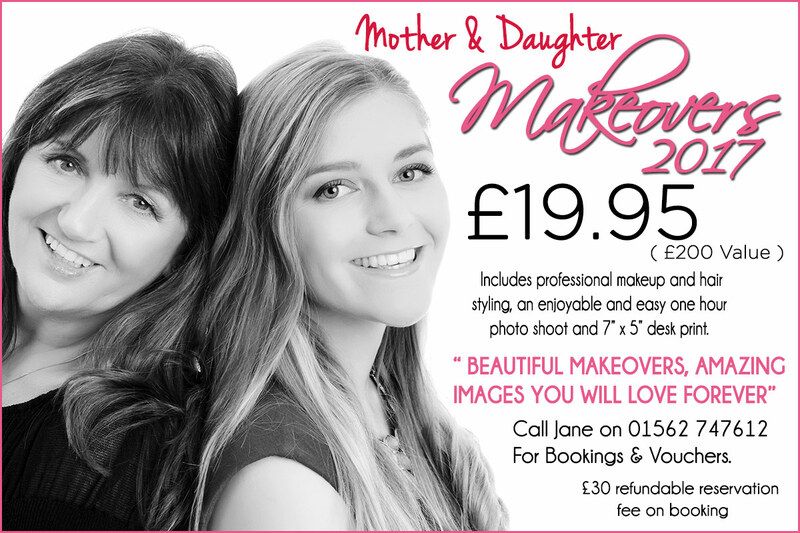 This experience is true joy for Mums and Daughters getting a chance to enjoy spending some relaxed fun times together, you will both enjoy the pampering of a full professional makeover with dry hair styling included to ensure you look your very best when you enter the photographic studio. We will help guide you throughout your photo shoot to produce the best pictures of you that you have ever seen. We help with all the posing and expressions and make the whole experience a loads of fun. Places are limited and this offer is only available for mother and daughter makeover experiences purchased prior to May 2017. Call Jane today on 01562 747612 and get you session booked and have a lovely time to look forward to.